The Mental Body, the Immortal Spirit, is the aspect of a human being “made in the true image of God”. 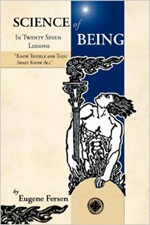 The physical Etheric and Astral bodies are only the transient outer garments, shells for the Spirit body. Like the Astral Body, the Mental Body, the immortal Spirit, is also directly under the influence of the four elements that descended in the beginning from the Ether, the Akasha. The element of Fire is the fiery aspect of the Spirit and is responsible for will. The element of Air is responsible for intellect. The Water element manifests in the human being as life and feelings. The Earth element is represented by the unification of Fire, Air and Water, and is therefore responsible for the individual “I” Consciousness of the human being. The highest aspect of the immortal “I”, the Ether or “Akasha” principle, manifests in humans as belief in its highest aspect, and the instinct for self-preservation in its lowest aspect. The four Universal elements and the Akasha principle together then constitute the “I”, the individuality, the immortal Spirit “made in the true image of God”. In terms of the elements, we can also expand their influences within the immortal Spirit, the Mental Body to include the following attributes. Fire is responsible for Energy, might and passion. Air is responsible for memory and the power to judge and differentiate. Water is responsible for conscience and intuition. Earth is responsible for egotism and the instincts for self-preservation and propagation. Just as the Astral Body forms its link, the Astral Matrix, with the physical body through the electromagnetic fluids of the Astral planes, the Astral “Od”, the Mental Body is in turn linked to the Astral Body by means of the Mental matrix formed out of the electromagnetic fluids of the Mental planes, the Mental “Od”. The Mental matrix is the most subtle form of the Ether, the Akasha, regulating and maintaining the activities of the Spirit within the Astral Body. 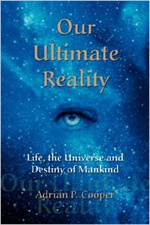 Our Ultimate Reality, Life, The Universe And Destiny Of Mankind Includes A Chapter About The Immortal Spirit.